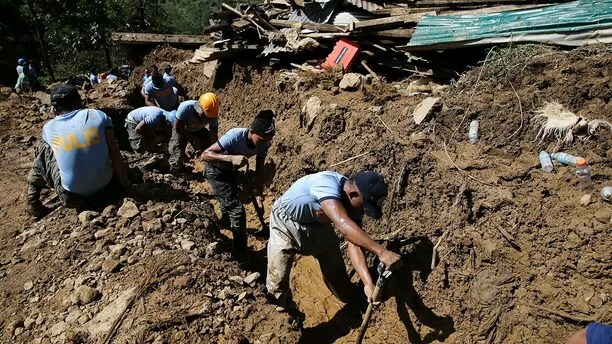 Rescuers in the Philippines continue to frantically dig through a massive mound of mud to retrieve the bodies of dozens of people believed to be buried by a landslide triggered when powerful Typhoon Mangkhut battered the country. 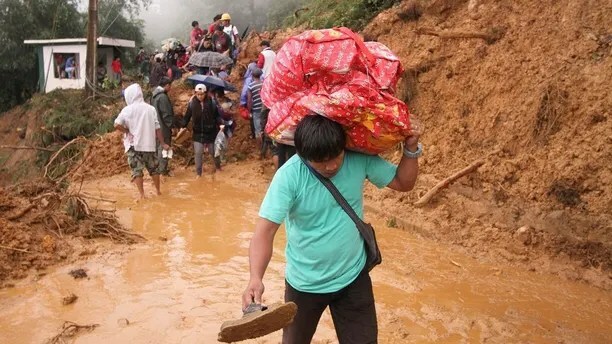 Hope dwindled as teams dug through mud and debris covering a chapel in the town of Itogon, where more than 40 people sought shelter from the deadly storm. They were using their bare hands, passing blocks of concrete and pieces of wood down a 50-foot line to clear the area, the BBC reported. He said rescuers have dug out 11 bodies from the slide, as grief-stricken relatives waited nearby. “We will not stop until we recover all the bodies,” Palangdan said. Typhoon Mangkhut, the Thai name for Southeast Asia’s mangosteen fruit, has killed 65 people since it tore through the Philippines over the weekend. 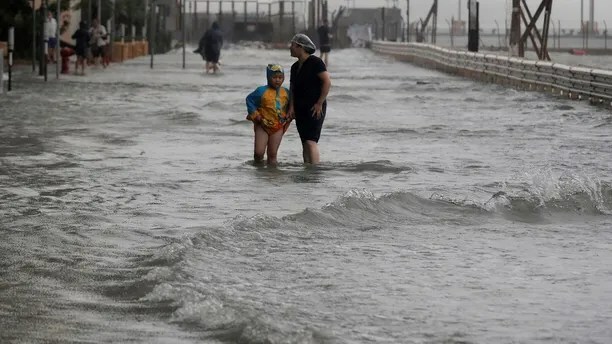 It has also killed another four in China, where it weakened to a tropical storm as it churned inland Monday. The storm was about 124 miles west of the city of Nanning in Guangxi region and traveling northwest and weakening. There were no additional reports of deaths or damage. Most of those buried in the Philippines are thought to be poor miners and their families. Conrad Navidad of the International Organization for Migration told the BBC that the shelter had been a worship area for the mine workers and their families. In Hong Kong, the water levels surged 12 feet in some places and waves swamped roads. The storm is expected to weaken to a tropical depression when it reaches the Yunnan province on Tuesday.